Easter is coming up on Sunday, April 16! Brunch is an Easter staple, whether you make your own feast at home or enjoy a delicious brunch spread at a local restaurant. Take a break from cooking this year and relax at one of these wonderful brunch spots in town. The following eateries all serve brunch on Sundays (and sometimes Saturdays, too!) but may be serving a special Easter brunch menu as well. Call ahead — or surprise yourself — to find out what delicious offerings they have in store for Easter this year. 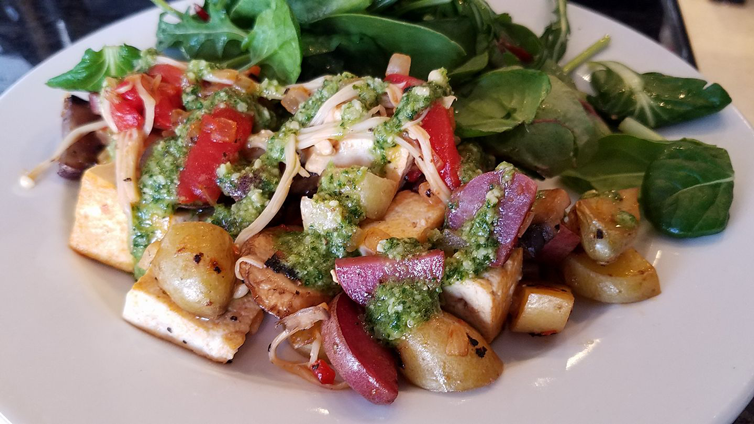 Brunch: Saturdays + Sundays 10:30 a.m.–2:30 p.m.
Black Kite Coffee and Pies serves a dynamic and delicious brunch each weekend with a menu that changes on a weekly basis. Check in on their Facebook page to see the updated menu, featuring a simple selection of savory, sweet and downright creative dishes. Pair your meal with a delicious cup of coffee or a sweet latte to complete the experience! Brunch: Saturdays + Sundays 11 a.m.–3 p.m.
Not only does Bravo! Cucina Italiana at Franklin Park Mall serve a wonderful lunch and dinner, but their brunch menu served all weekend long is absolutely amazing. Their chefs put an Italian twist on a brunch classic with their Sicilian Omelette, featuring cherrywood smoked ham, bacon, sweet Italian sausage, tomato compote, caramelized onions, mozzarella and brunch potatoes. 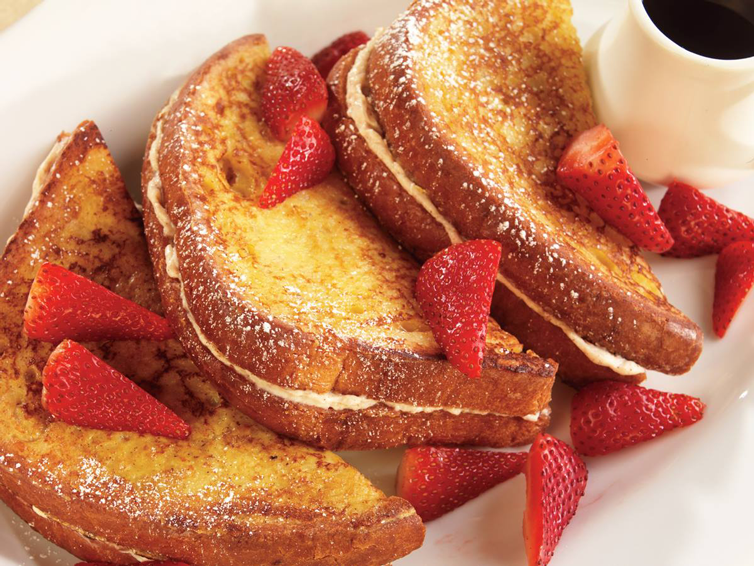 Explore their brunch menu to see what you can expect. 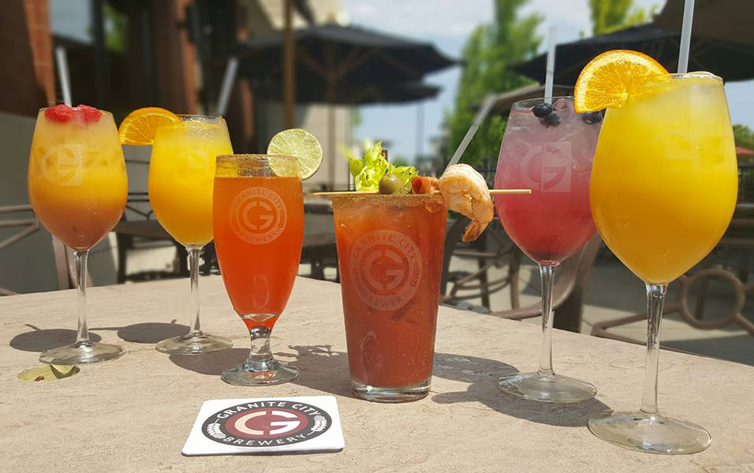 Brunch: Sundays 10 a.m.–2 p.m.
Before your shopping trip at the Shops at Fallen Timbers in Maumee, stop by Granite City Food & Brewery for an extravagant brunch buffet from 10 a.m. to 2 p.m. each Sunday. You will find a wide selection of offerings, such as biscuits and gravy, seasonal vegetables, a selection of pastries, and build-your-own waffle and omelet stations. Brunch: Sundays 11 a.m.–3 p.m.
Doc Watson’s breakfast menu is jampacked with a variety of tasty options, whether you’re craving a savory veggie omelet or a sweet jumbo Belgian waffle. They also offer a Bloody Mary bar from 11 a.m. to 3 p.m. each Sunday, where you can create your own drink using their house-infused vodka and unique ingredients like garlic, bacon and hot peppers! Manhattan’s is a lively place no matter what day it is — and that includes Easter Sunday! Their Sunday brunch buffet offers a wide variety of breakfast and lunch items, including bottomless coffee and a complimentary Mimosa — all for $23.95. Brunch: Sundays 9 a.m.–2 p.m. The Water’s Edge Restaurant serves a decadent brunch amidst the beautiful setting at Maumee Bay State Park in Oregon. The beautiful interior has an upscale feel, as you choose your favorite dishes from a buffet filled with pastries, breakfast potatoes, poultry, beef and seafood entrees, fresh made-to-order omelettes, and much more. The buffet costs $19.95 for adults, $16.95 for seniors and $9.95 for children. Who serves your favorite Sunday brunch in the Toledo area? Holly is a content specialist for Danberry Realtors. The Home Sweet Toledo blog focuses on community guides + local events, as well as home inspiration + design trends. Enjoy!